Flower delivery to Azerbaijan is available in the following cities: Baku, Ganja, Lankaran, Mingachevir, Nakhchivan, Shaki, Shamkir, Shirvan, Sumgait, Yevlakh. Azerbaijan is located at the crossroads of Western Asia and Eastern Europe. Wealthy and beautiful, Azerbaijani culture has developed as a result of many influences. Its main elements include distinctive architecture, music, folk dances, literature, cuisine, cinematography and Novruz Bayram. The latter is a family holiday that celebrates the ancient New Year. You can celebrate it all year around in an intimate atmosphere with your Azerbaijani woman. Every day is a holiday for you when she’s happy. Even if you’re far way from each other, when you look at the blue sky, you imagine her being by your side. You probably think of the power and elation she brings to you. It’s all about happiness when you imagine her smiling… you wish you could hold her tight and pick a bouquet of kisses off her lips. Regardless of the long distance between you two, you know that you love her with all of your heart. You want to please her all the time and… Megaflowers is there for you to help you build an enormous kingdom of love. Megaflowers is a flower delivery company that connects people through exuberant flowers. Use our service and send flowers to Azerbaijan . 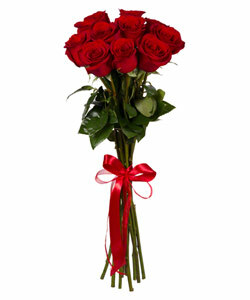 Feel that you are truly together, feeding off each other’s strength with a bouquet of red velvet roses. Share your happiness and sorrow with an arrangement of white callas, carnations and black roses. Say that you love her with a bunch of red tulips. Explore our wide range of delicate flowers. Choose the arrangement that characterizes your personality best. As flowers are known to be the greatest messengers, select the ones that are compatible with your feelings. Our Azerbaijan florists will craft with care the most heartwarming bouquet for you. There’s nothing more beautiful as being loved. Edify a strong relationship with your Azerbaijani girl via Megaflowers. A quick, easy and effective way to do that is to place your order for the most beautiful Azerbaijani flowers. Order now and celebrate your love today! We are happy to offer you our free brand named postcard with your message, which you can note on the website, being in the cart , clicking "Add a postcard"
It is possible to deliver the order within two-three hours after your payment or even to definite time (need to place the order in advance). Also, our Call-Centre works 24 hours a day and 7 days a week! We deliver just fresh flowers! 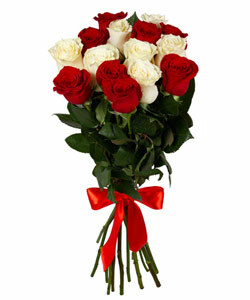 If the recipient does not like the flowers quality, we will replace them fresh ones or make you a refund.